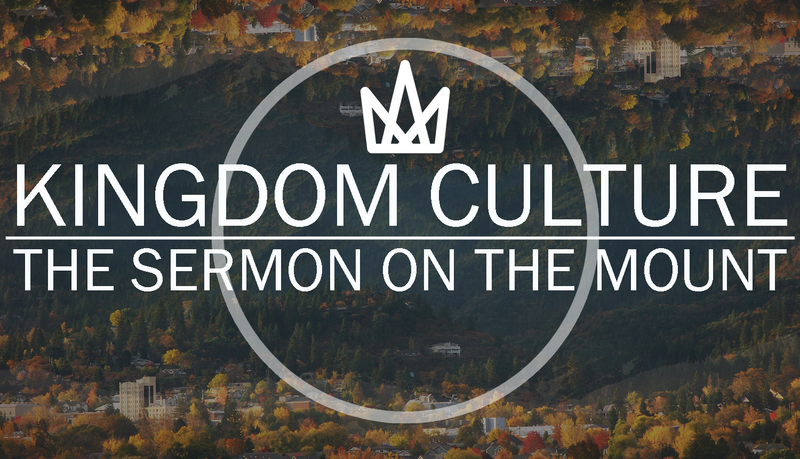 As we continue our series, Kingdom Culture, we have moved through the Sermon on the Mount in chapter 5 of the book of Matthew. We have heard the call of Christ in our character and in how we treat ourselves and those around us. However, we can be people who have high character and high moral values. We can be people who are kind and generous to people and love others. But we can do all of that by simply being a good person without the influence of Christ working through us. As Jesus is teaching in the Sermon on the Mount, he is declaring a new way of living, a new culture that reflects the Kingdom of God. He contrasts the religious rulers of the day and their teachings with His teachings that reflect this Kingdom Culture. Statistics are interesting to look at to analyze trends and to inform future direction. In Ashland for example, 26% of people claim any type of religious affiliation – 20 points lower than the national average and 10 points lower than the average in Oregon. As we look around though, we see very spiritual people and we see good people. The religious rulers of Jesus’ day were spiritual as well. I am sure they would even claim a religious affiliation. And they could have even been ‘good’ people. But there is something missing and Jesus is preaching against their example and their teaching. If you have your bibles or an app on a device, you can turn to Matthew 6:1-18. It will also be on the screens. Our Father in heaven, 10 may your name be kept holy. May your Kingdom come soon. May your will be done on earth, as it is in heaven. 11 Give us today the food we need, 12 and forgive us our sins, 13 as we have forgiven those who sin against us. And don’t let us yield to temptation, but rescue us from the evil one. 14 “If you forgive those who sin against you, your heavenly Father will forgive you.15 But if you refuse to forgive others, your Father will not forgive your sins. 16 “And when you fast, don’t make it obvious, as the hypocrites do, for they try to look miserable and disheveled so people will admire them for their fasting. I tell you the truth, that is the only reward they will ever get. 17 But when you fast, comb your hair and wash your face. 18 Then no one will notice that you are fasting, except your Father, who knows what you do in private. And your Father, who sees everything, will reward you. Jesus deals with moral righteousness in chapter 5 and moves to teaching on to dutiful (religious) righteousness in chapter 6. From kindness, purity, honesty, and love to practices of giving, praying, and fasting. Jesus gives 3 examples in our passage – almsgiving, praying, and fasting. Each of these occur in some form in every religion. They are prominent for example in t Koran and certainly all Jews were expected to give to the poor, pray, and fast. Notice that Jesus says, “When you do…” So, Jesus is taking for granted that they would be already doing these things. These 3 examples also express to some degree our duty to God, to others, and to ourselves. To pray is devotion to God, to fast is to self-discipline oneself, and to give alms is to serve others around us, particularly the needy. Loving God and loving our neighbor are both important and both a necessity. Jesus is speaking to us about the morality of the Pharisees as well as the religious practices of the Pharisees. In the Sermon on the Mount, Jesus is contrasting the Pharisee, the pagan, and the Christian. We are not to be like the pagan or the Pharisee. Christ-followers are called to a different way of life. “Watch out! Don’t do your good deeds publicly, to be admired by others, for you will lose the reward from your Father in heaven. 2 When you give to someone in need, don’t do as the hypocrites do—blowing trumpets in the synagogues and streets to call attention to their acts of charity! I tell you the truth, they have received all the reward they will ever get. Hypocrisy in the classical Greek is hupokrites, which was first an orator and then an actor. Figuratively, the word became known to mean anyone who treats the world as a stage on which he plays a part. Acting is laying aside your true identity and assuming a false one. Assuming another identity, wearing a mask. In a theater, there is nothing wrong with this – it is assumed. The trouble with the religious hypocrite is that they have set out to intentionally deceive people. They take what is supposed to be a real activity and turns it into a theatrical display. Once again Jesus is teaching us that our heart and our intentions are what is important and he uses 3 examples of giving, praying, and fasting. As Jesus does throughout the Sermon on the Mount, he is pointing us to look deeper than the action to the motivation of the action. When we give, what is our motivation to give? There are really 3 possibilities: we are seeking the praise of men, we are congratulating ourselves, or we are desiring the approval of God through our obedience. 3 But when you give to someone in need, don’t let your left hand know what your right hand is doing. 4 Give your gifts in private, and your Father, who sees everything, will reward you. Giving alms is about the needy and is intended to alleviate the distress of another person. It is an act and work of mercy. When we become self-conscious of our giving (left hand knowing what the right hand is doing) it can easily move to self-righteousness. Without intending to, we can quickly move to congratulating ourselves for our generosity and turn mercy into vanity. In our modern world where we budget and plan our finances, we of course will know what we are giving. When we write the check, or get online to give we consciously are aware of what we are giving. However, Jesus is teaching us that we should not hold onto the knowledge of what we give so we can gloat over it or use it as some way of manipulation. He wants us to freely give as he leads us. Not overthink it but to be obedient and give generously for the needy and for the work of the Kingdom. This can also be applied to giving our first fruits, our tithe. 2 Corinthians 9:7 – Each one must do just as he has purposed in his heart, not grudgingly or under compulsion, for God loves a cheerful giver. “Well, I’m involved. Isn’t that enough”? Time is money, right? As we are to give out of genuine love for people, so we are to pray out of genuine love for God. Prayer is good and all devout Jews prayed 3 times a day like Daniel in the Old Testament. Nothing was wrong with standing to pray nor was it wrong to pray on corners if their motive was to break down the walls between religion and everyday life. The motives of the Pharisees though were uncovered and behind their piety lurked their pride. In our modern day, accusations of hypocrisy are often leveled at church-goers. We can go to church for the wrong reasons. We can go to not worship God but to gain for ourselves a reputation for piety. We can boast of our private devotions in the same way. Giving praise to God, like giving alms, is an authentic act in its own right. Having an ulterior motive destroys both. It degrades the worship of God to self-service, self-worship. Praying is secret helps remove distractions and also the prying eyes of others. We must never use giving or praying as a pious cloak of self- love but out of love for God. Pharisees fasted twice each week and John the Baptist and his disciples fasted regularly. But the disciples of Jesus did not. How many of us are disciples of Jesus – those who claim to have a relationship with Jesus – but do not fast? Many Christians would stress giving and helping the needy and prayer but let’s not talk about gluttony. I will be the first to admit that I love food. I love food more than I love exercise. I never had to watch what I ate growing up so I never had to care about it. That has caught up with me and I need to lose weight. Fasting is abstaining from eating food for a certain period and is meant to discipline ourselves and help us be physically fit. Hunger is one of our basic human appetites, and greed one of our basic human sins. Self-control is meaningless unless it includes the control of our bodies and that is impossible without self-discipline. Winter Olympics: Olympians training for their event involves a strict regimen of sleep, exercise, and diet. Fasting was an expected practice in both the Old and New Testament eras. For example, Moses fasted at least two recorded forty-day periods. Jesus fasted 40 days and reminded His followers to fast, “when you fast,” not if you fast. Fasting and prayer can restore the loss of your “first love” for the Lord and result in a more intimate relationship with Christ. The Holy Spirit will imprint God’s Word deeper on your heart, and His truth will become more meaningful to you. Mark 9:29 shows that the disciples needed a power from God that comes only through fasting. Matthew 17:20 and 21 say that fasting and prayer coupled with faith in God can work spiritual miracles. Fasting can result in a dynamic personal revival and make you a channel of life change to others. The question of fasting is simply this: Are you willing to give up steak and potatoes to gain spiritual riches? Are you willing to give up that which gratifies the flesh in order to make an investment that builds up the spirit? Fasting is a test of how serious you are in your walk with God by what you are willing to deny yourself. The principle of fasting means giving up a craving of the body because you have a deeper need of the spirit. “We are to show when we are tempted to hide and hide when we are tempted to show”. We are commanded to let our light shine but here Jesus is telling us to not let our prayers, fasting, and giving to the needy show. Letting our light shine is not our light but it is the light of Christ that is reflecting off of us. Our good deeds, prayers, and fasting are things that we are doing that can draw attention to ourselves and not attention to Christ. Our relationship with God is private but our living of that relationship is public. We can be good people and do good things, we can even accept Christ as our Savior. But we must be actively engaged in living in relationship with Christ and our world through spiritual disciplines. Otherwise we lose the foundation on which those things come from. Lent is a time to create space for a focus on the spiritual disciplines. We create space by fasting or giving up something so that we can fill it intentionally with things of the Spirit. Spiritual disciplines of meditation, prayer, fasting, study, simplicity, solitude, submission, service, confession, worship, guidance, and celebration (Richard Foster). Why do we do what we do? Do we do it for the praise of men and women? Or do we do it for the praise of God? How are we doing at giving? At praying? At fasting?